On 10-12 April, the first Ever EU-Latin America Mining & Exploration Convention and Trade Show (METS 2018) took place in Madrid, Spain. 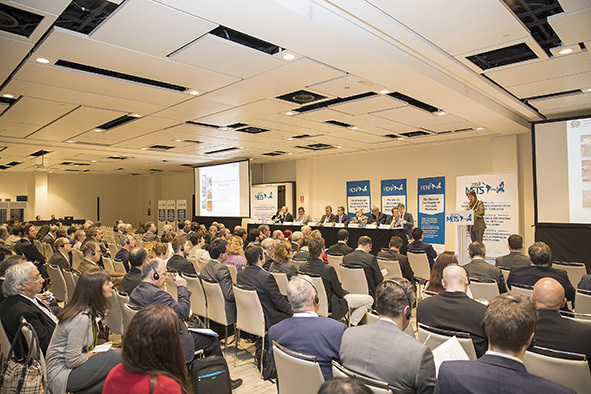 METS 2018 was part of the EU-Latin America Mineral Development Network Platform (MDNP) project which aims to boost a continuous and structured cooperation between the EU and Latin America, strengthening the dialogue, promoting top-notch technologies, tightening business, institutional and academic ties and opening new business perspectives, leading to win-win situations between the two strategic partners. As one of the project partners for the MDNP, Euromines was a main organiser of METS 2018. METS 2018 provided an opportunity for EU and Latin American stakeholders to meet in person to further realize the vision of a mutually beneficial and continuous cooperation in mining and all related sectors. The conference featured speakers who are at the forefront of the non-energy extractive industry, including experts in fields such as technology, consulting services, infrastructure, investment, trade, training and skills, health and safety, good governance and other relevant areas of the mining value chain. The corresponding trade show provided the opportunities for partners to gather firsthand information and promote their technologies, companies and organizations.